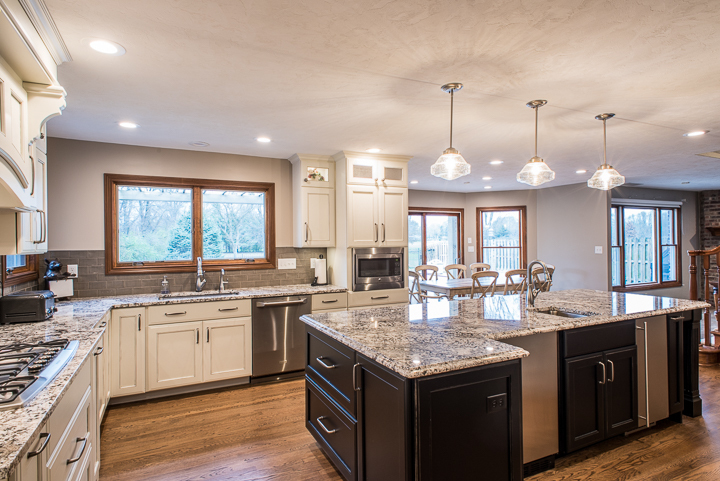 At this Indianapolis home, we completed a first floor and kitchen remodel and constructed a large square footage addition. 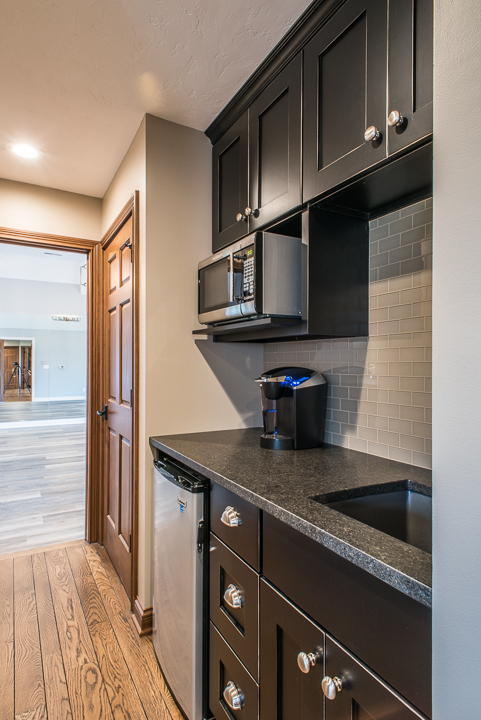 The garage addition provides new useful spaces for the owners’ family including a dance room, office, wet bar, exercise room, and full bathroom. 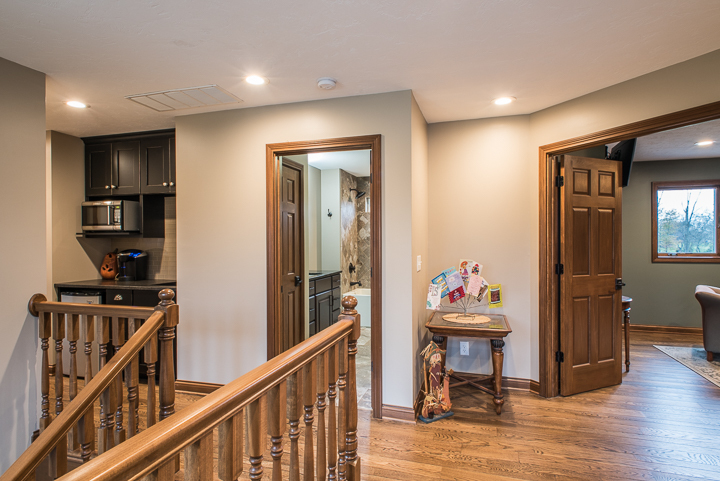 The owners sought to open up the kitchen and hearth room and transform the heart of their home. 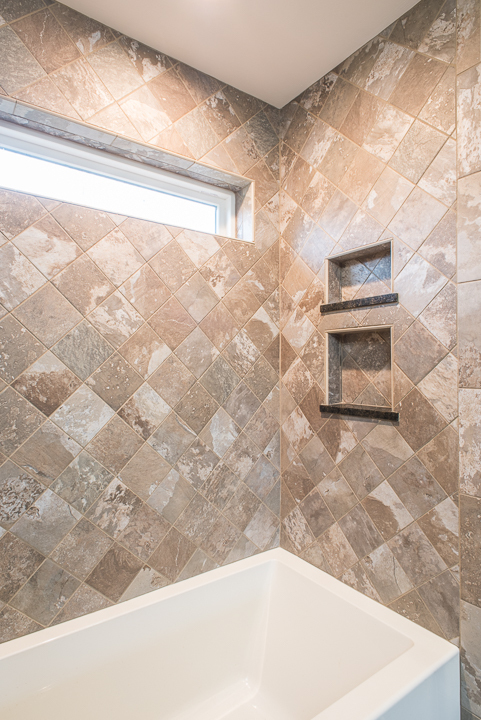 We removed a bearing wall to create space for a new pantry and powder bath. 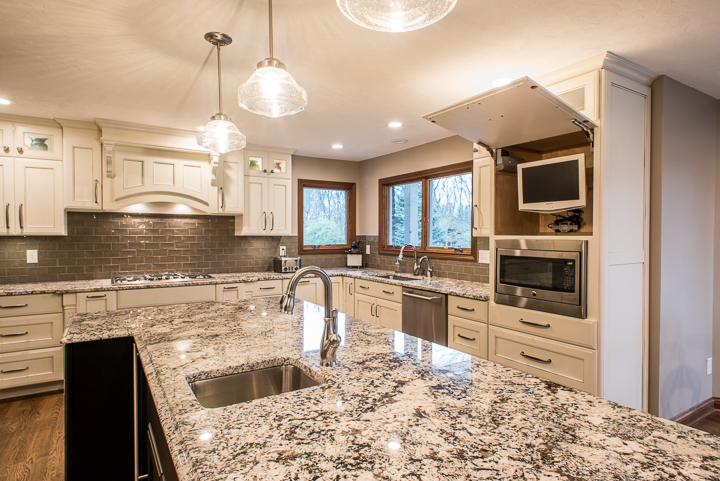 The newly remodeled kitchen is more open and conducive for cooking and gatherings. The kitchen benefits from more natural light, as we cut the brick to install several new windows overlooking the backyard and pool. 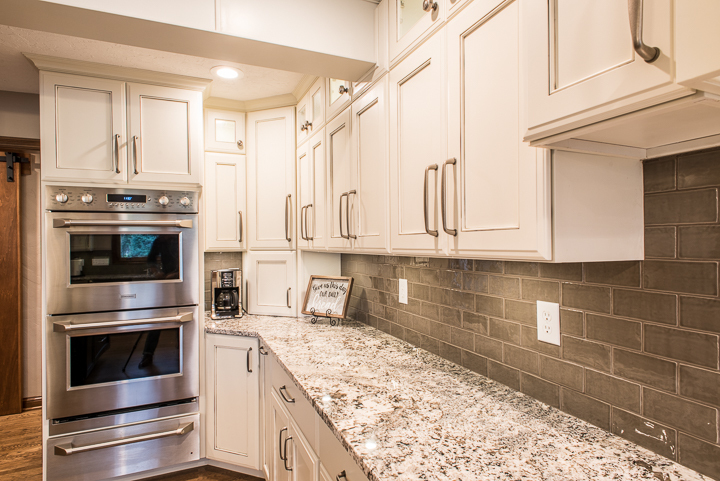 The new kitchen has beautiful custom cabinetry, a granite island, oak floors that match those of the existing home, a new pantry, and an appliance pantry. Near the kitchen we built a new powder bathroom and butler’s pantry which can be used as a prep area or for additional kitchen storage. Two elegant barn doors separate the butler’s pantry from the kitchen area. In the existing hearth room that adjoins the kitchen, we sanded and finished the floor and repainted the walls to synchronize the color palate. The result is a space that is spacious, open, functional, and inviting. Using the existing garage space, we constructed a new mudroom for the family to organize their shoes, coats, bags and everyday items. 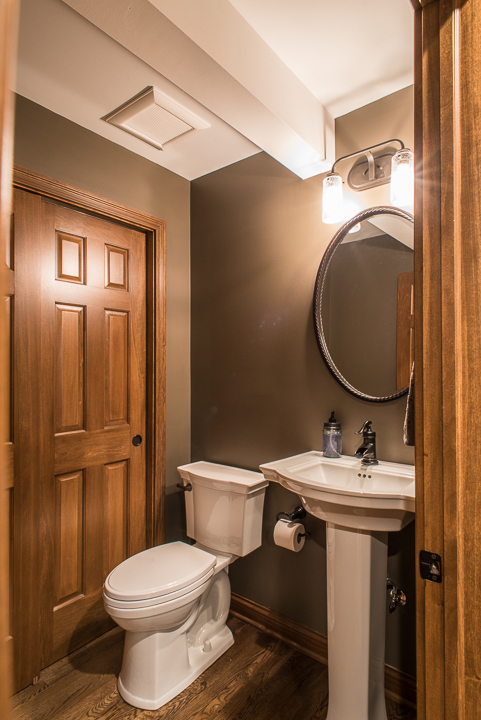 We used the additional space to create a new laundry room with custom cabinetry. The new, spacious laundry room also features a dog shower. The open space along with the additional storage space afforded by the new cabinets make the room much more suitable for the family. 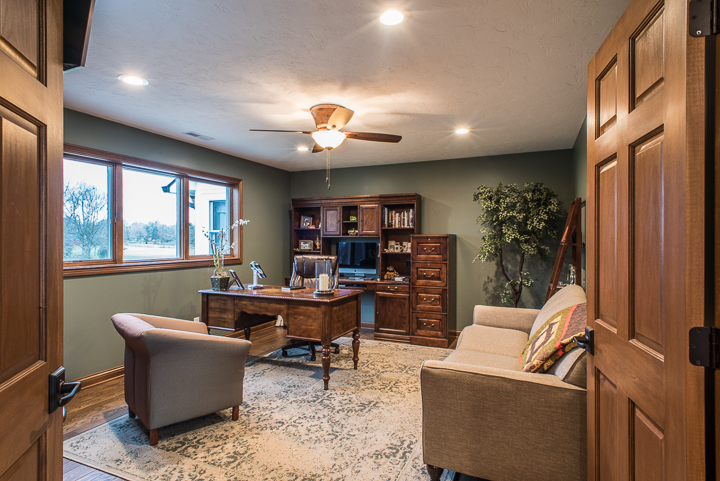 In the home addition, we built the new office with its own custom-built wet bar, full bathroom, and exercise room nearby. 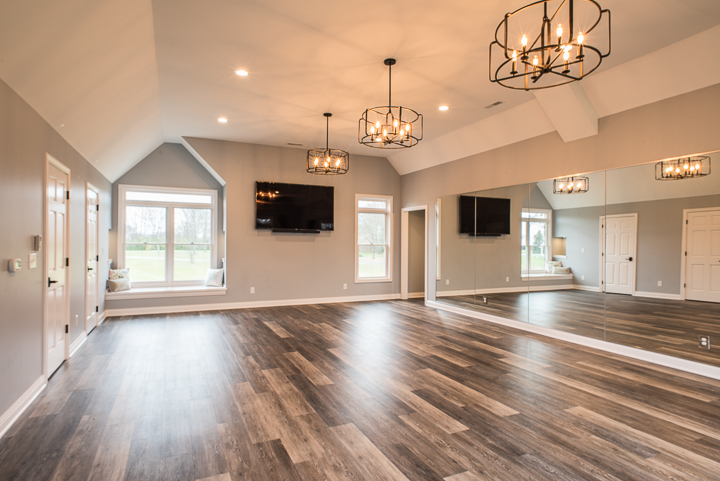 We also built a new dance room complete with a laminate cork floor, large windows, and a custom bench seat which overlooks the front yard. The soft wood floor, the light provided both through the windows and the light fixtures, and the openness of the space make it especially unique. The room serves not only as an area for practicing dance but also for hosting gatherings.